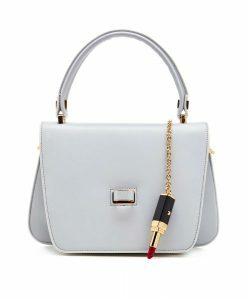 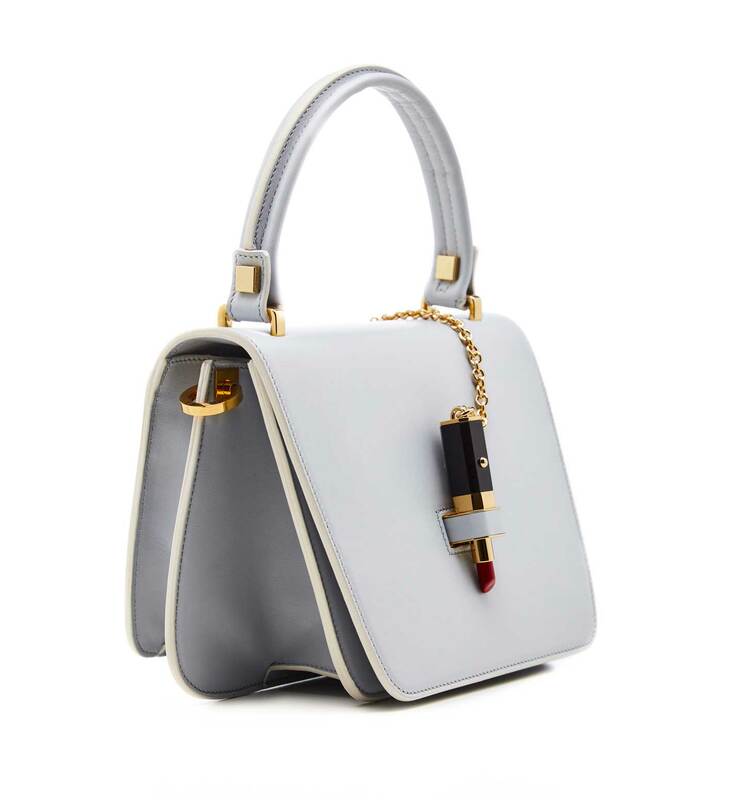 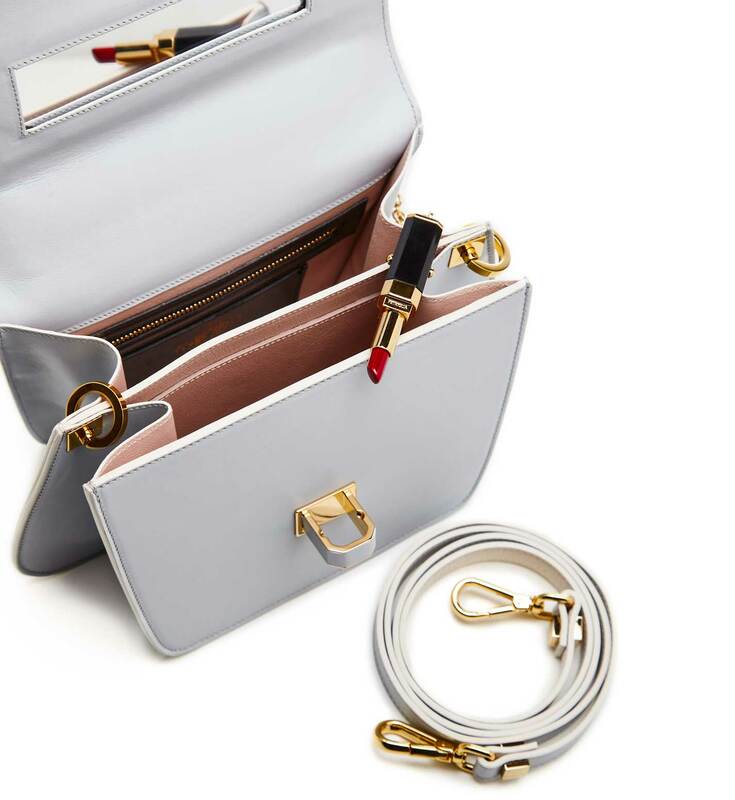 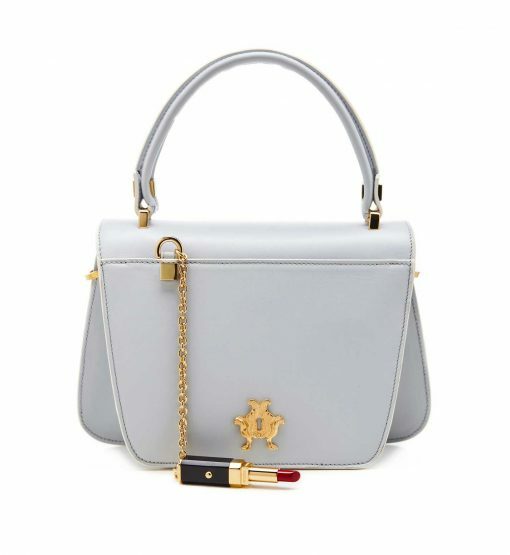 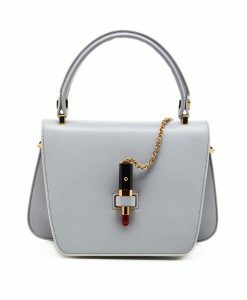 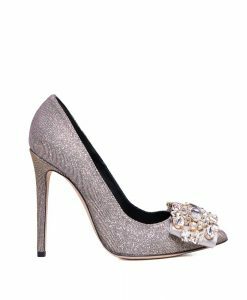 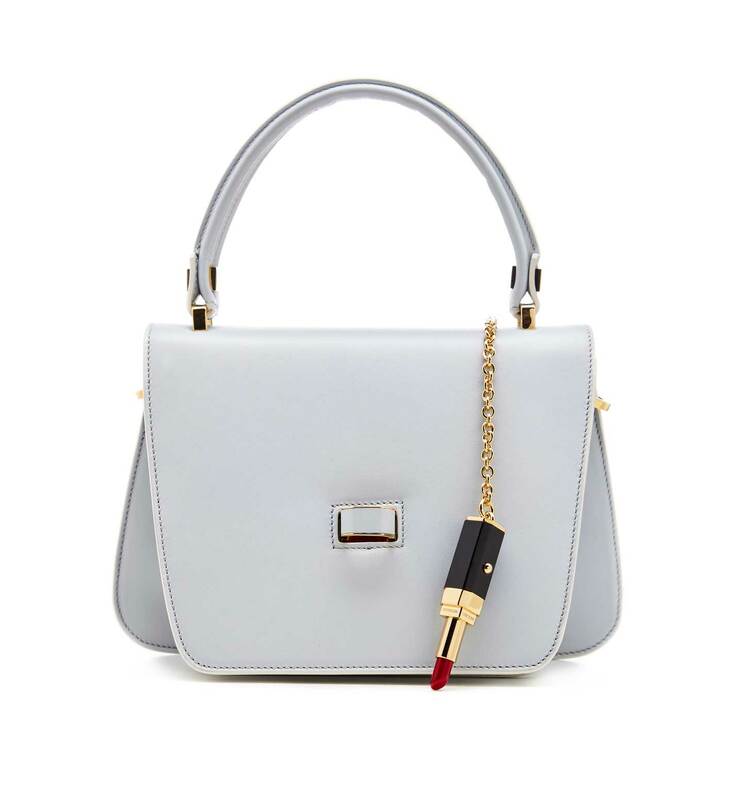 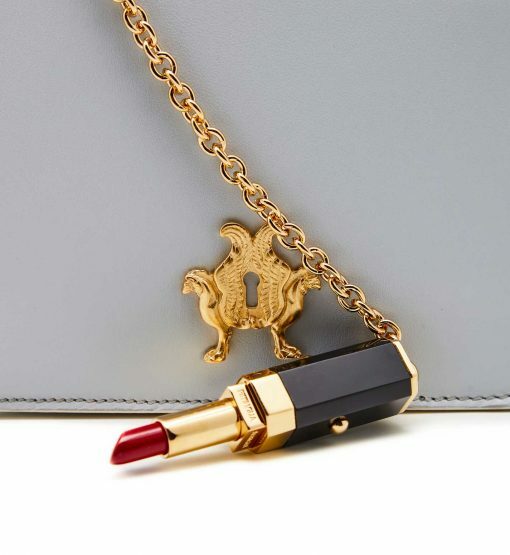 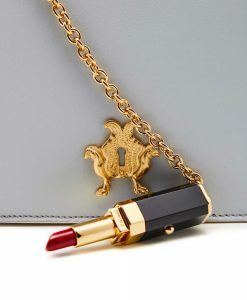 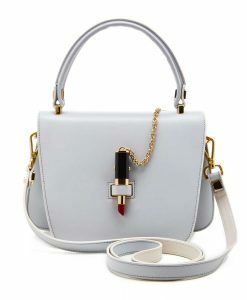 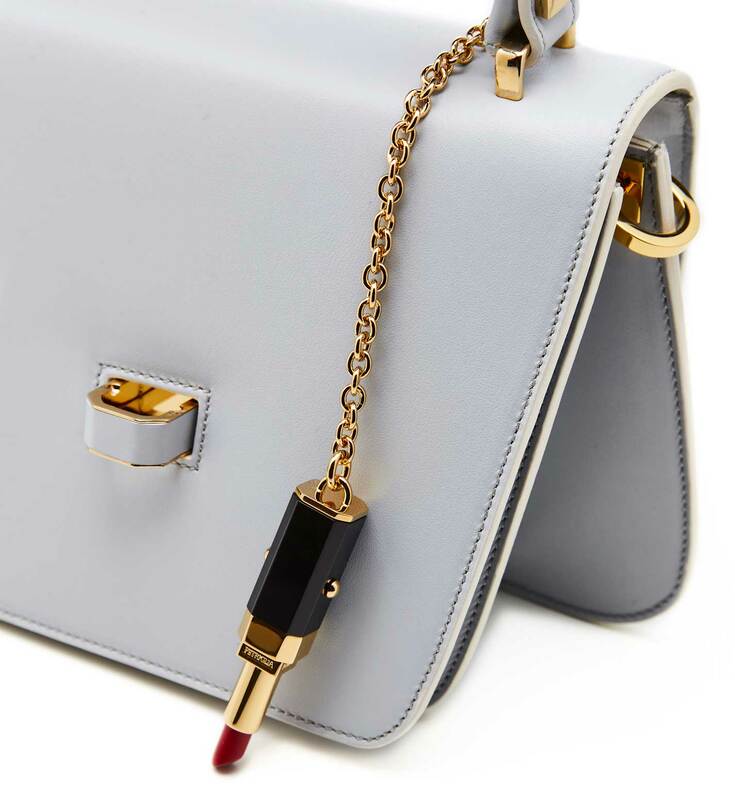 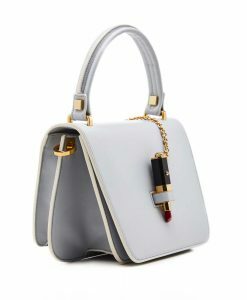 Crafted in Italy from smooth pearl grey leather, Giancarlo Petriglia’s amazing shoulder bag is accented with red lip-stick chain closure. 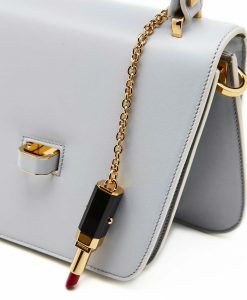 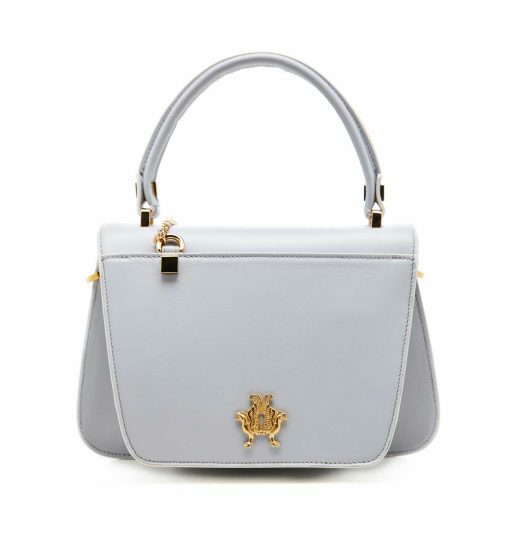 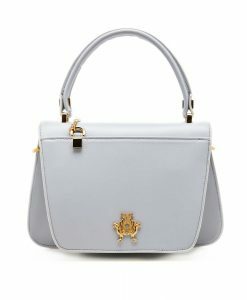 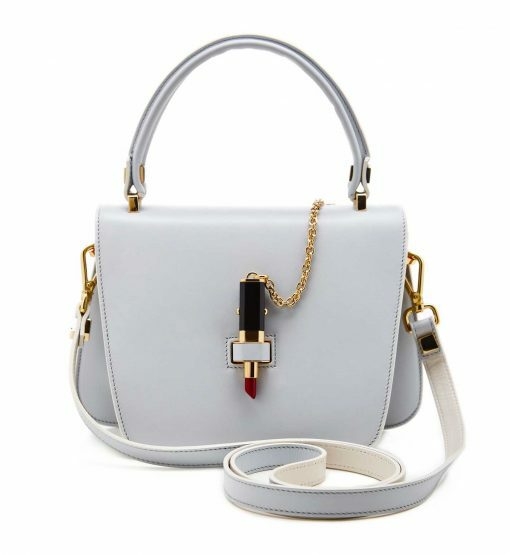 Contrast white leather details make the bag more special. 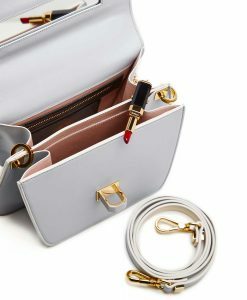 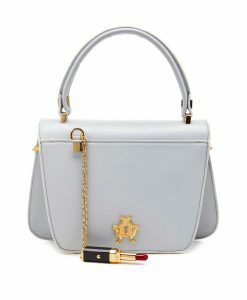 Mint color leather interior is divided into two compartments to hold your essentials in order, Queen Lipstick bag has also a mirror inside to correct your make-up anytime everywhere. 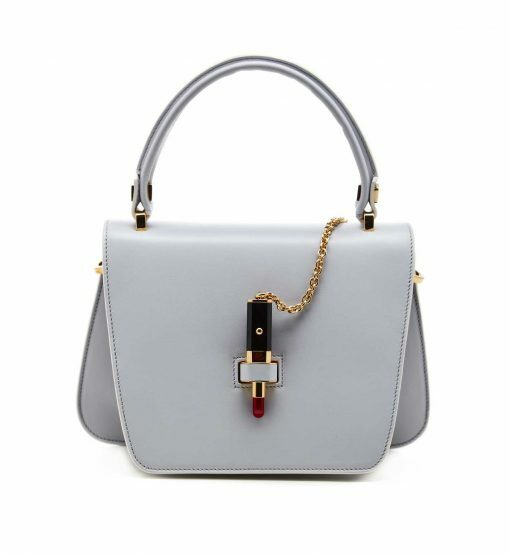 Use the adjustable strap to carry it cross-body.